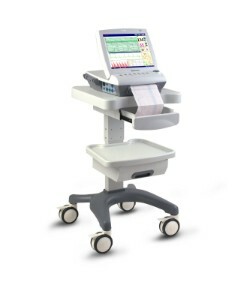 Edan Luxury Trolley provides a great mounting solution for F Series Fetal Monitors. It features 4 wheels with clips and mounting plate with a clamp for steady placement. The storage basket comes in a set. Middle shelf size: 11 x 19 in.